After many years on the poker circuit, Robert Mizrachi is finally coming into his own. He is cashing more than ever before and playing well. His years of experience are paying off. Robert has spent most of his career in the background, with his younger brother Michael Mizrachi a.k.a “The Grinder” taking the limelight in the poker world after having a great season in 2006. However in 2007 Robert came more to prominence with some more noticeable tournament results and becoming the first in his family to win a World Series of Poker Bracelet. Robert Mizrachi was born in Sunny Isles Beach, near Miami in Florida in 1978. He is the eldest of four brothers, three of whom are poker professionals. He learned poker at a young age and taught his brothers to play so that they could conduct games in his home. Robert can take some of the credit for his younger brother Michael’s career success too. Robert taught him to play and mentored him through his early years, and watched proudly as he quickly exceeded Robert. Now Michael is considered one of the top players in the sport. Robert really got into the game in a serious way when he became a dealer in a casino in South Miami. He studied the game from the dealer’s side of the table until he felt that he knew as much as he could learn in that way. It was not long before he could read people enough to understand what kind of cards they held. Then, he was ready to play on the other side of the table. He played in his first tournament in the 90’s at Victoria Casino in London. He not only did well, he took first place and won the tournament. This initial great start would soon die down and it would be many years before Robert picked up any more noticeable tournament victories. In 2003, he made up for lost time by taking second in a $1,000 No Limit Hold ‘em event in Atlantic City. To do it, he beat an impressive group of players, including Full Tilt Poker ’s Chris Ferguson and Andy Bloch. 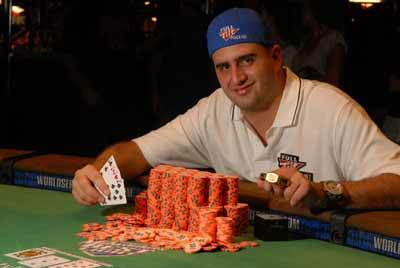 Mizrachi did even better in 2004, winning the Master Classics of Poker in Amsterdam. He took $500,000 home with him from that event. Things were looking up and Robert Mizrachi was ready for whatever came next. In 2005, he cashed in three World Poker Tour events as well as four events at the World Series of Poker, including a 4th place finish in the $1,500 Limit Hold’em Shootout. 2006 was a good year, too. Mizrachi had a great run in the Five Star World Poker Classic and won the $1,000 No Limit Hold ‘em event and came second in the $1,500 No Limit Hold ‘em event winning a combined $135,000 from the tournament series. Also, in 2006, Mizrachi made his first WPT final table at the WPT Mirage Poker Showdown $10,000 No Limit Holdem main event in front of millions on TV winning almost $130,000. He rounded out the year by cashing in the Mandalay Bay Poker Championship $1,000 No Limit Hold ‘em event. 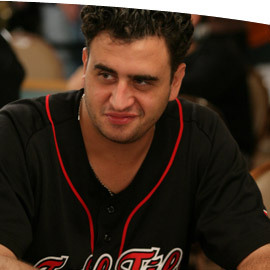 2007 was to be Robert “Who’s Bad” Mizrachi’s best year yet. He reached three final tables at the World Series of Poker. Better still, he won his first bracelet in the $10,000 World Championship Pot-Limit Omaha event, and with it $768,889. 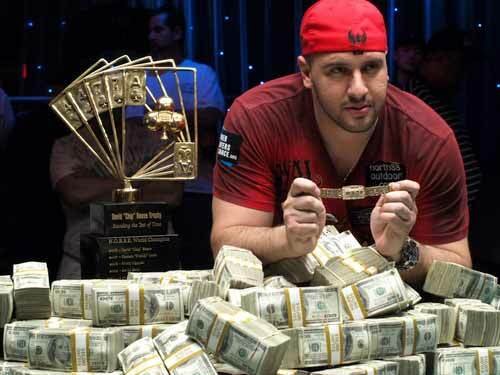 With total winnings of over $4.5 million, Robert Mizrachi is doing just fine. Even though he has younger brothers, he is still a fairly young man. He was a former member of Team Full Tilt as a sponsored pro however he is no longer associated with them. 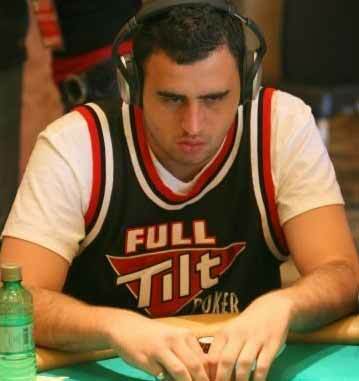 He still can been seen regularly playing online at Full Tilt Poker. Want to Chat and Play Poker with Robert Mizrachi?